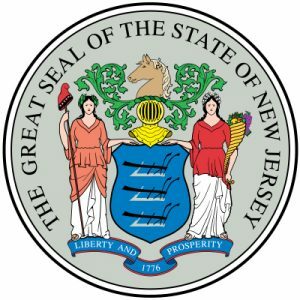 Everyone shows excitement about the new legalization of sports betting in NJ. Everyone, but some officials of Atlantic City casinos. They remain cautious, as the new bill might leave them out of the sports wagering business. In fact, as we currently understand, the new regulations are banning owners of sports teams from offering a sportsbook. What’s more, the bill appears to ban team owners from offering wagers altogether not just on their sport. But there is a light of hope since the regulations come with exceptions. And the hope comes in the form of a 1% share of profits. One of the affected casinos is Golden Nugget and its owner Tilman Fertitta. In fact, the Texas billionaire also has the Houston Rockets NBA team in his portfolio. So, if Golden Nuggets wants to offer Sportsbook, Fertitta needs to sell his team within one year. And, failure to comply with the legal benchmark, would see him lose his sports betting license. What’s more is that all profits made from Sportsbook would need to go back to the state’s wallet. Similarly, other casinos face the same issue. Yet, they count on different exceptions to get them back in the game. Borgata owner MGM also owns WNBA’s Las Vegas Aces team. But under a clause of the new bill, they’ll get a green light, as the team generates less than 1 percent of the group’s revenue. The company posted $10.8 billion in net revenue last year. And the value of the team falls well under the one percent margin. In a similar situation is Caesars Entertainment. The group owns Harrah’s, Caesars and Bally’s. But the owner of Philadelphia 76ers and NJ Devils teams, Joshua Harris, also owns a part of Caesars. They hope to pass the cut under a different clause. One that would allow placing sports wagers to team owners if their casino share is less than 10 percent.